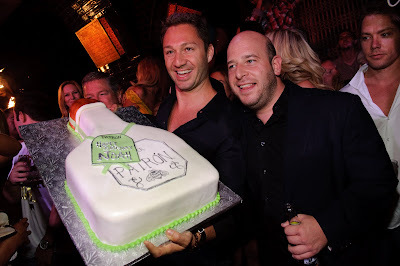 TAO GROUP BLOG TAO NIGHTCLUB LAVO NIGHTCLUB TAO BEACH LAS VEGAS: NOAH TEPPERBERGS BIRTHDAY! Rumer Willis continued her 21st birthday celebration on Sunday with a visit to TAO Beach for Sunset Sessions. The newly legal Willis was joined by boyfriend Michal Alberti and some of her Sorority Row co-stars. The group sipped on pitchers of martinis while snacking on Sushi and Kobe Burgers. Willis was surprised by shout outs from the DJ and the crowd screaming “Happy Birthday” as a giant TAO birthday fortune cookie was delivered. The starlet wore a grey bikini, showing off a gorgeous figure, and was affectionate with her boyfriend throughout the day. Comedian Pauly Shore, sporting a bright green Speedo, popped by her cabana to say hello. 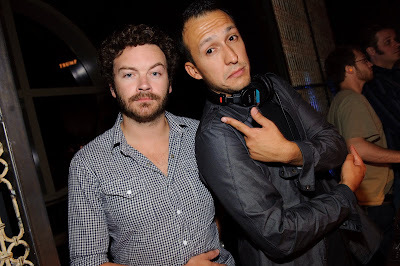 To wrap up the weekend Willis and friends, including Danny Masterson, who was on That 70’s Show with her step father Ashton Kutcher, dined in the private dining room at LAVO, first stopping to wish LAVO co-owner Noah Tepperberg a happy birthday as he had taken over the entire back half of the restaurant for his own celebrations with a group that included mogul Ron Burkle, Pauly Shore and Alexander Von Furstenberg. Willis thanked Tepperberg for making her 21st so memorable. The parties kept the restaurant buzzing, with dueling renditions of “Happy Birthday”, with each group cheering loudly for the other, then headed up to the nightclub where DJ Vice was spinning. Tepperberg’s party took over the VIP section in front of the DJ booth, with Willis just across the dance floor at her own VIP table. 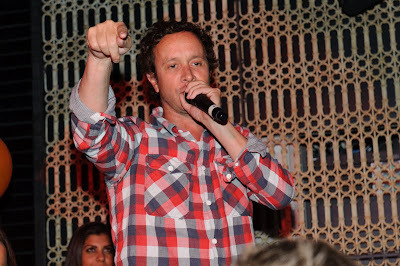 A giant cake shaped like a Patron bottle was delivered to Tepperberg as Pauly Shore led the club in singing to him. Always the consummate host, Tepperberg sent over Champagne and cupcakes to Willis as the crowd cheered. The parties continued throughout the night, with Willis leaving around 3 am to try her hand at blackjack in the casino.